Those paintings really liven up the place. 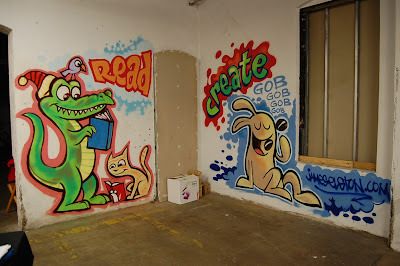 Awesome paintings...I just noticed the "Gob Gob Gob" bunny...no one in South Carolina knows what a gob is! thanks for posting it!